Fasteners are complicated, particularly screws. 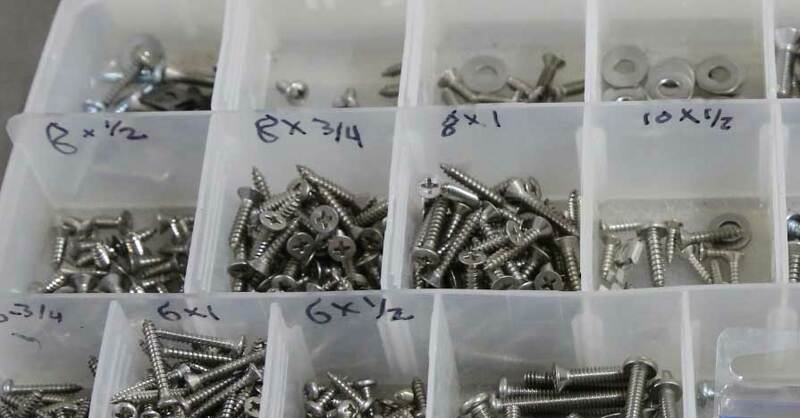 There many variations for screws, so many that it can be hard to figure out what you need, even with the old one in your hand. There are some common standards, and then there are the specialty screws that may or may not be replaced with one of the standard forms. 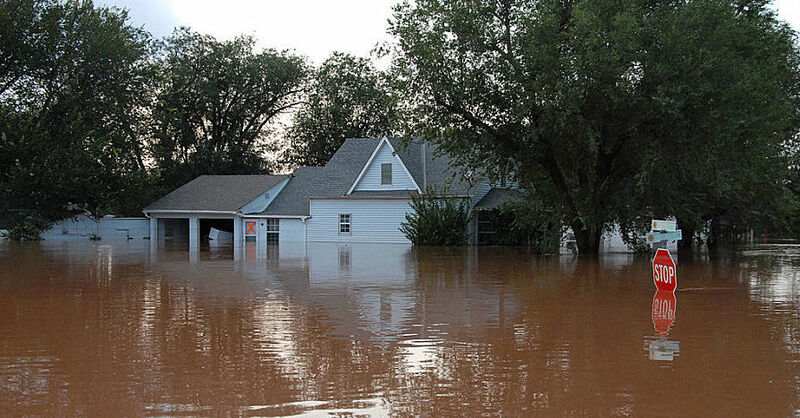 This article is all about helping you sort that out. There are many types of screws, each with a particular purpose. From the left – countersunk wood, truss head wood, self-tapping sheet metal pan, self-tapping sheet metal hex truss with sealing washer, countersunk sheet metal, countersunk sheet metal oval head, sheet metal pan head, countersunk machine screw, and pan head machine screw. Much like nuts and bolts, screws have specific form factors that determine their usage. These include use, head, drive, thread, and material. This is usually dictated by “wood” or “sheet metal”. A wood screw has coarse threads with more depth from the cutting edge to the shank of the screw. Wood screws are designed to grab soft materials such as wood (duh), thick plastics, and similar softer materials. Wood screws do not work well in metal, and they have a sharp tip for drilling into the wood. Wood screws can have a standard point or be self-drilling (standard point with a cutting edge). 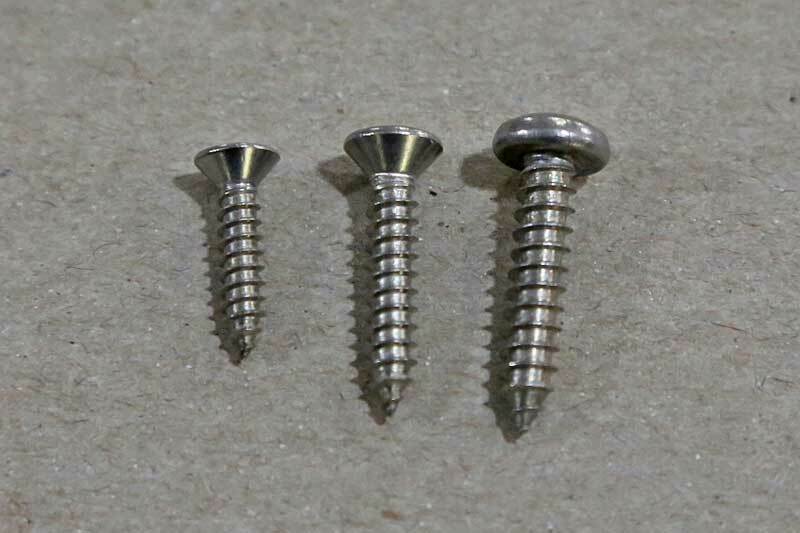 Sheet metal screws have a tighter thread design which is shallower for engaging hard materials like metal. Sheet metal screws can be standard point, self-drilling (standard point with a cutting edge) or self-tapping, which means the screw has a hole-drilling tip that makes the perfect sized hole for that screw. Sheet metal screws can be used in wood. Do not confuse this with machine screws, which are really just bolts with screw-type drive heads. This is a wood screw. It features wide threads that are designed to grab soft materials like wood and plastic. It will not work in sheet metal. How the head of the screw is shaped helps determine its function. 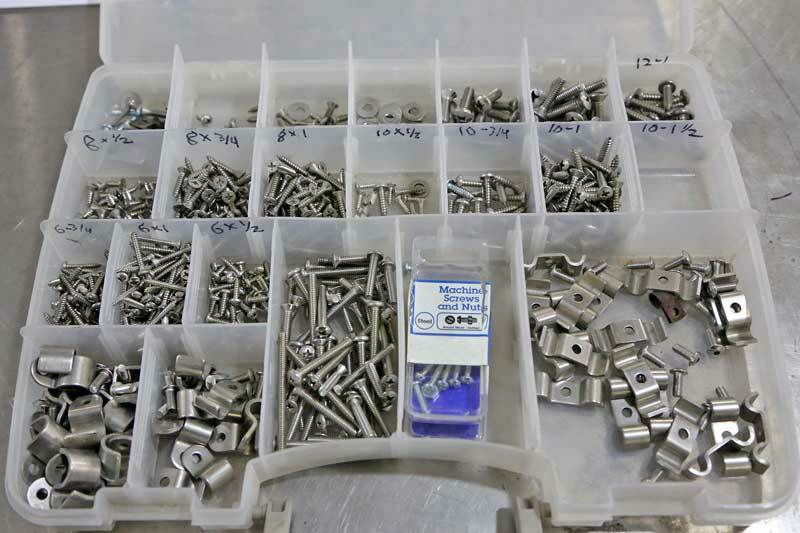 There are many types of screw heads – round, flat, pan, button, truss, oval, hex, flanged, washer, and a few other less common types. A standard round head has a flat base to meet the material, with a rounded top. A pan head has a wider flat base with truncated round top (round sides, flat top). Oval heads are rounded on top and bottom, these usually used with recessed holes. Flanged screws have a wide washer-like flange at the base of the head. This is a Phillips head, most screws use this drive, but there are plenty of slotted and other drives available. This is the type of bit used to install/remove the screw. The most common is Phillips and slotted, but there are many other drive types, including square, hex, allen, 6-point (Torx), security, one-time use security (can’t be removed), and then multi-drive versions combining any combination of the rest. One of the biggest issues with screws is stripping the drive. This can be combated with anti-cam out fluid, which is kind of like glue for the drive. It helps keep the bit in place so that it doesn’t pop out and strip the drive. A good quality bit set like this one will have all the standard bits, plus a few of the less-common types such as Torx and safety bits such as square drive. Thread style can vary by size and use for the screws, the designations are simple- fine or coarse. 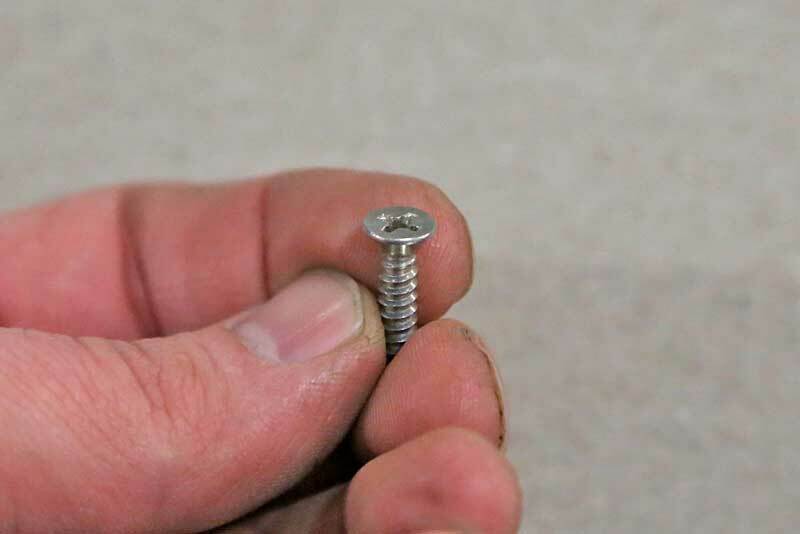 Unlike bolts, there isn’t much in the way of thread measurements for screws, as they are not designed to mate to a counter thread, they cut their own threads. Fine thread screws are stronger than coarse versions of the same size, but fine-thread screws tend to strip out the hold easier because there is less material between each thread. What the screw is made of makes a big difference in flexibility of use and strength. 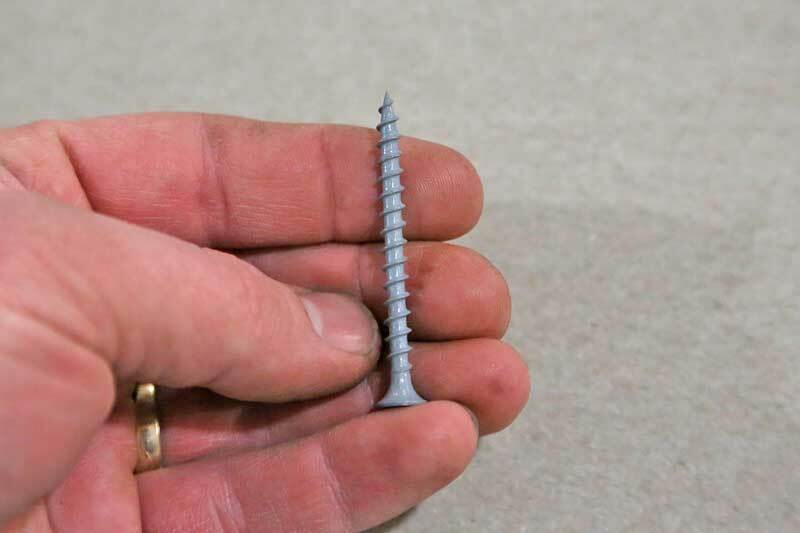 Drywall screws are low-grade, low strength wood screws. They are good for holding drywall to studs and wood to wood until the glue dries, but not much else. The heads snap off if you put too much tension on them. The common material types are steel, brass, stainless steel, and silicon bronze. These stainless steel screws are good for most any application where there will be moisture present, plus they look great for much longer than steel screws. Steel is by far the most common material type. Most steel screws are coated to protect against rust, either with zinc (silver) or phosphate (black). These are good for inside work, as they rust quickly, even when coated. Brass is used for electrical, ornamental, and fine finishing. Because brass conducts electricity well, it is the optimum fastener for electrical uses. Brass is soft, however, so its uses are not as great outside of electrical and ornamental. Silicon bronze is the strongest of the four main materials. It is highly resistant to corrosion and has a nice copper look. These get used in marine and outside applications. Stainless steel is the most common material for outside applications. These are affordable, strong and don’t corrode like the others can. 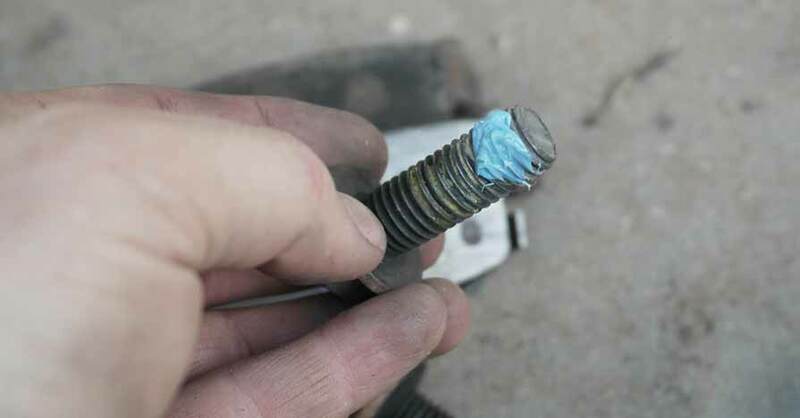 The issue is when the threads gall, but that is less likely with a screw than it is with a bolt. They are about double the price of a steel counterpart, so keep that in mind too. Stripping out a screw hole is frustrating to say the least. Fortunately, most of the time you are working with small screws , you can step up to the next size without much issue, even in sheet metal. 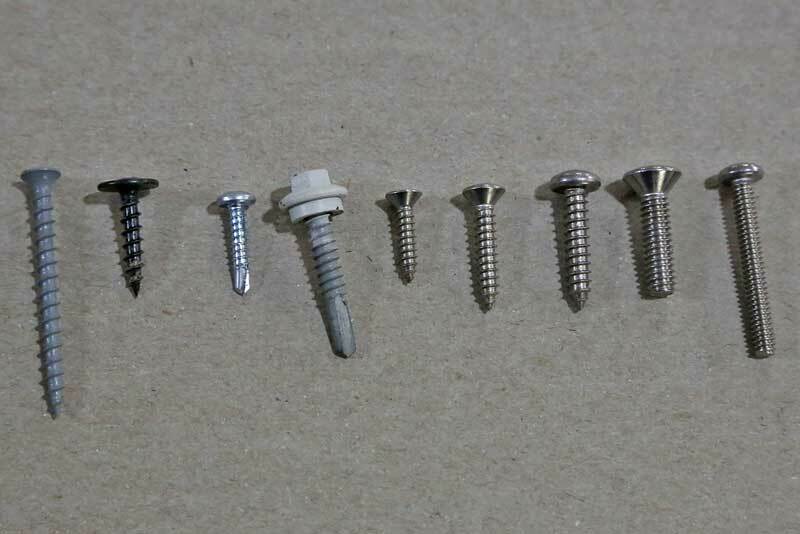 Screws are sized just like bolts, with everything under ¼” having a non-fractional number, such as 8, 10 or 12. A 14 is the same as a ¼”. Screw sizing starts at 0 (1/16”) and go up to 20, with the most common sizes being 6 thru 10. Holding power varies greatly by screw material, substrate material, thread count, and screw size. Take care when tightening screws, as they can strip without much warning. Not pre-drilling for screws is the most common mistake made when installing a new screw. 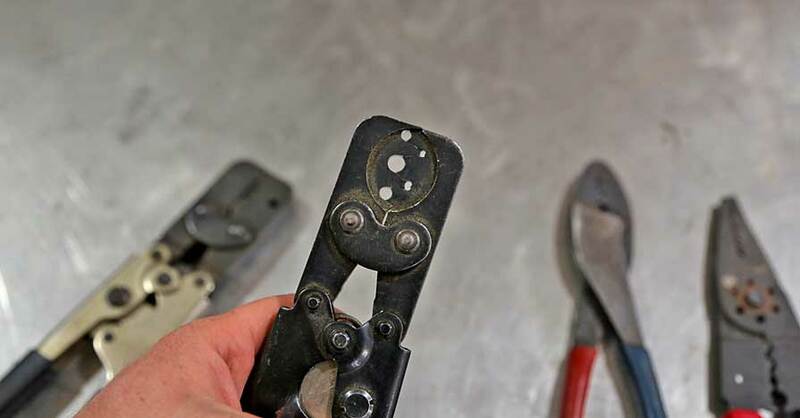 Unless the screw is self-drilling or self-tapping, drilling a pilot hole is required. The size of the hole varies by material, hard wood requires a slightly larger hole than soft wood. 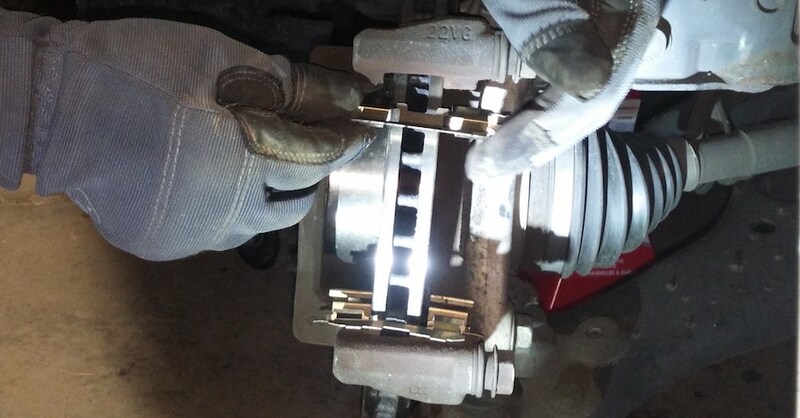 Sheet metal screws can make their own hole, but it is usually a good idea to drill a pilot hole for them as well to avoid stripping the drive. As with any fastener, the screw must match the application. Don’t use a wood screw to hold sheet metal together, and don’t use a brass screw on parts that need high tension. 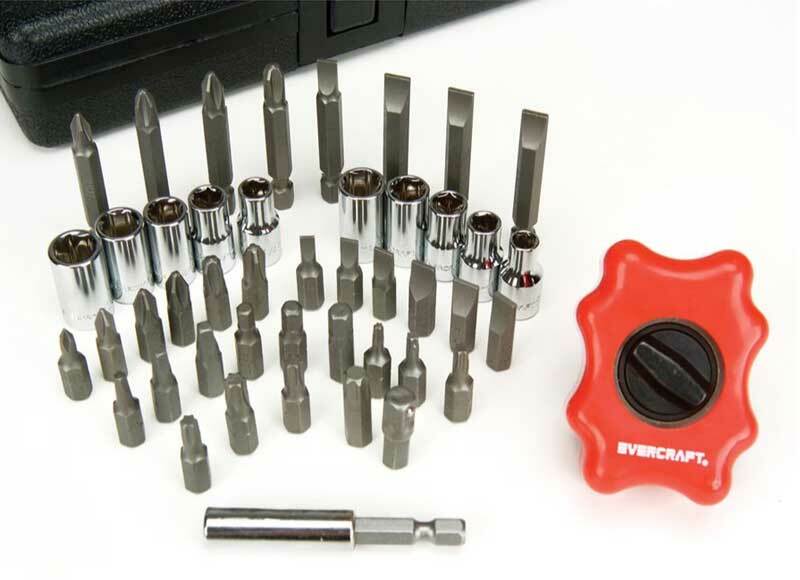 Having an assortment of common screws in your tool box is always a good idea. An organizer is an easy way to keep them organized so you can take them to the car or in the house when you don’t know exactly what size you need. Storing you assorted screws in an organizer like this allows you to keep track of what you have and when you need to refill the box. Plus, it makes them easy to store and carry to the project. Check out all the fasteners & hardware available on NAPA Online or trust one of our 16,000 NAPA AutoCare locations for routine maintenance and repairs. For more information on common screws and other fasteners, chat with a knowledgeable expert at your local NAPA AUTO PARTS store.